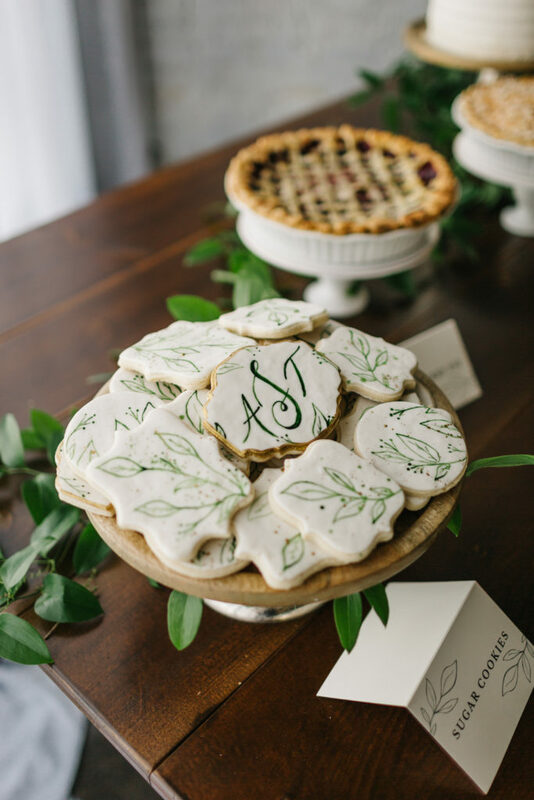 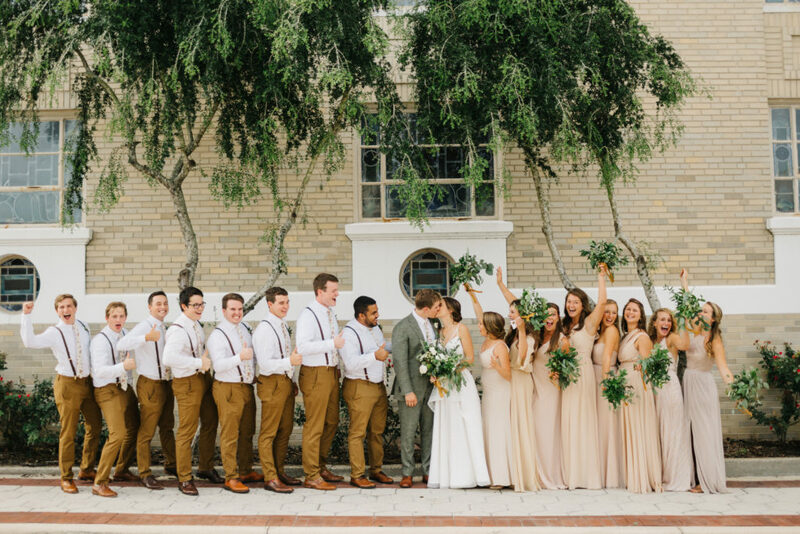 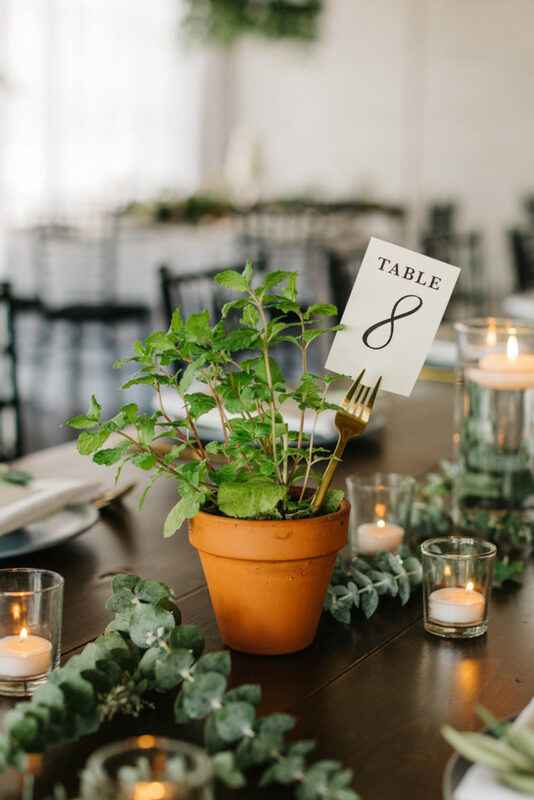 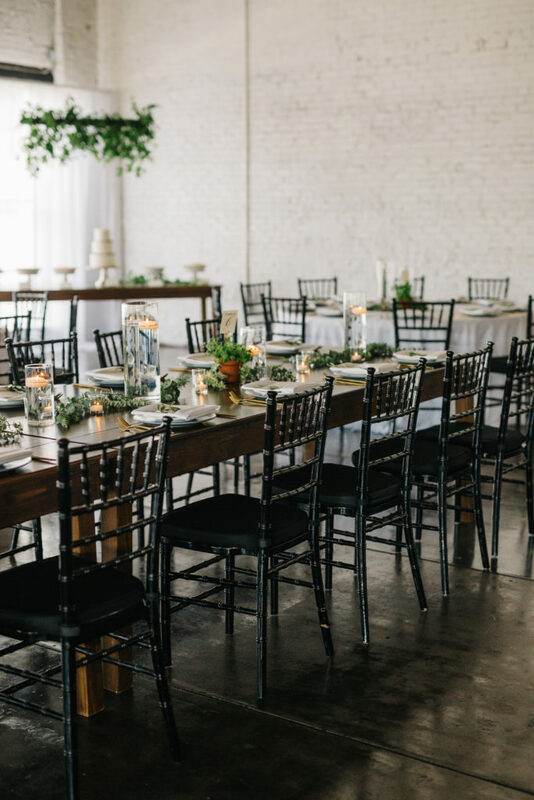 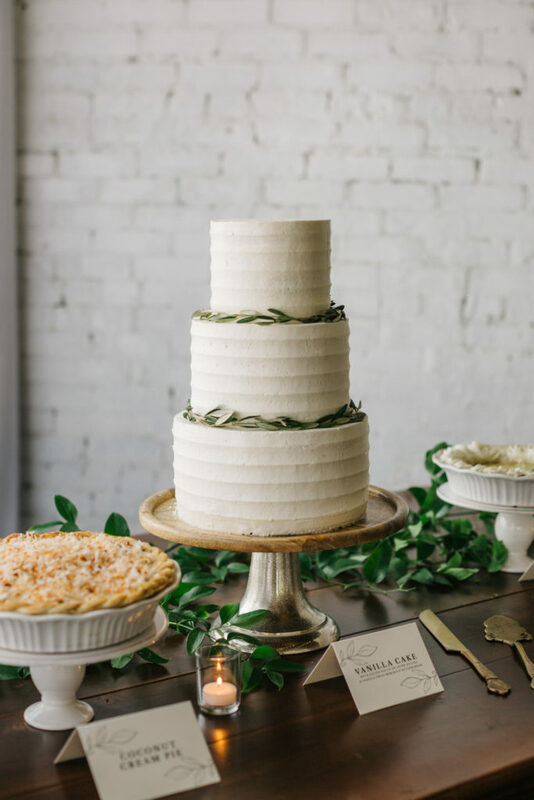 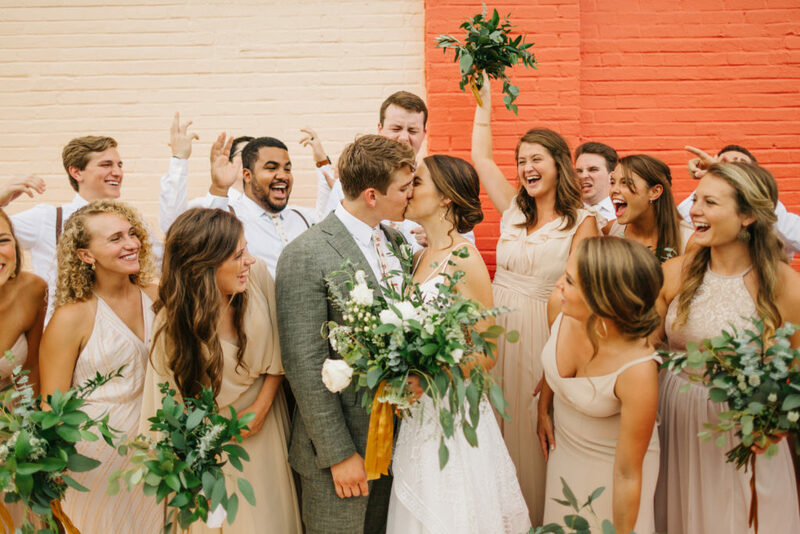 A+T’s wedding day was filled with romance, good food, and lots of dancing! 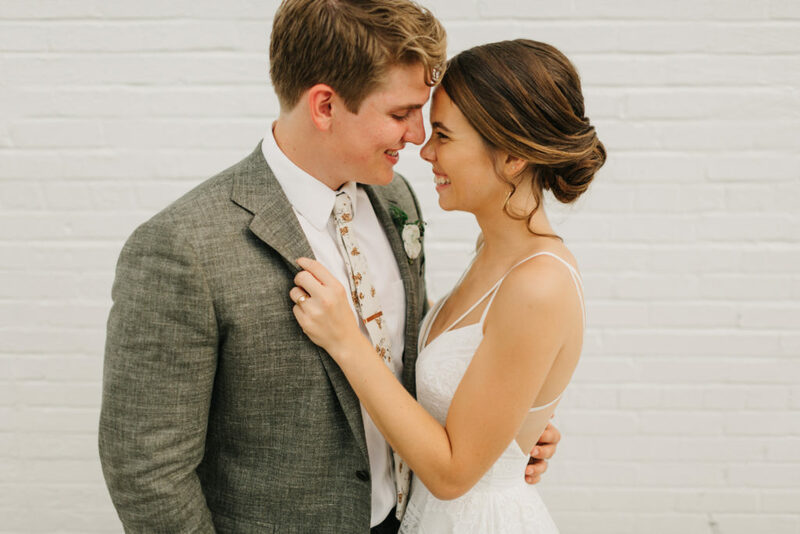 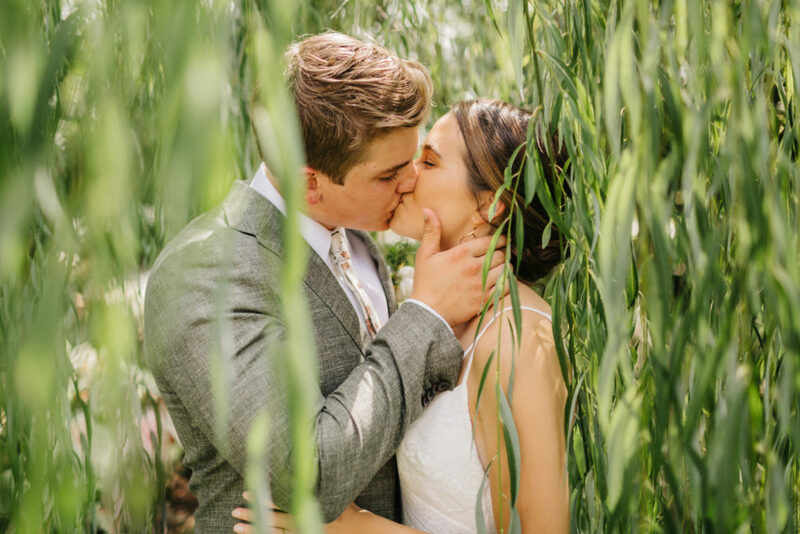 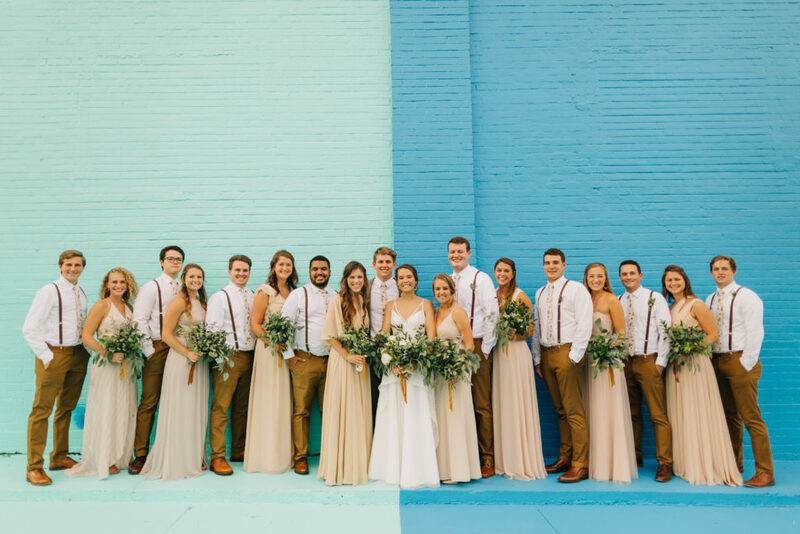 It was so much fun celebrating these high school sweethearts, while showcasing their unique and organic style! 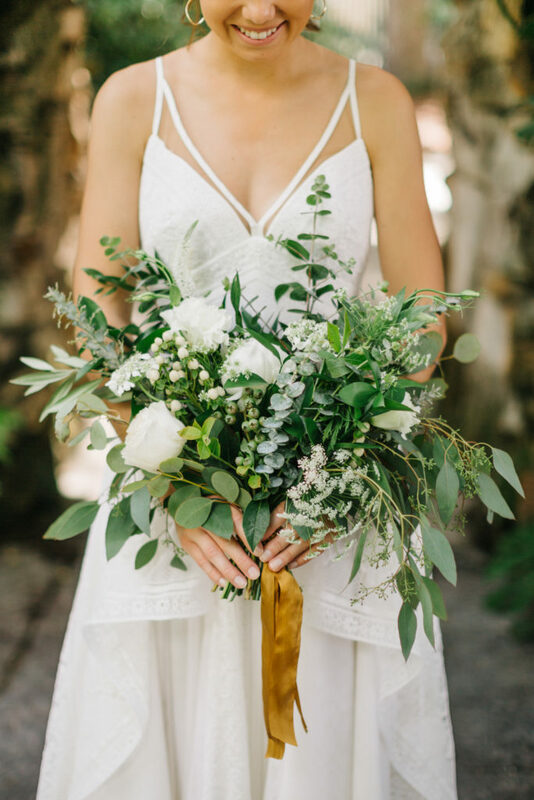 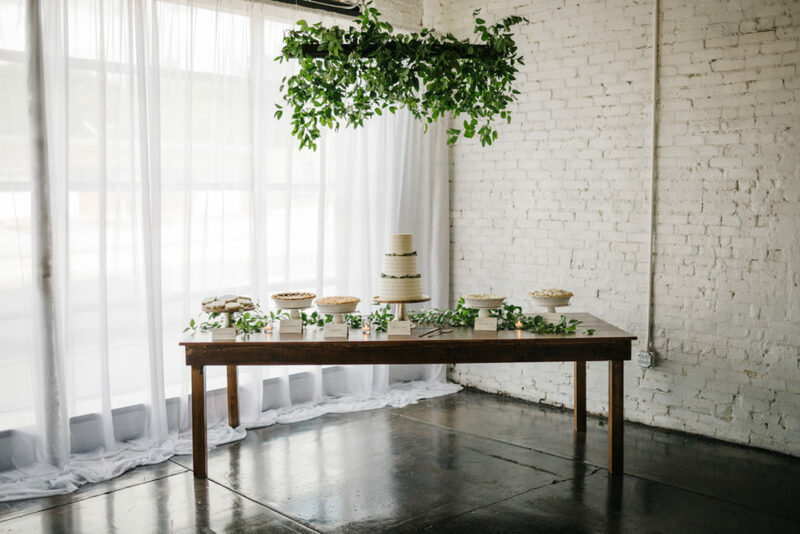 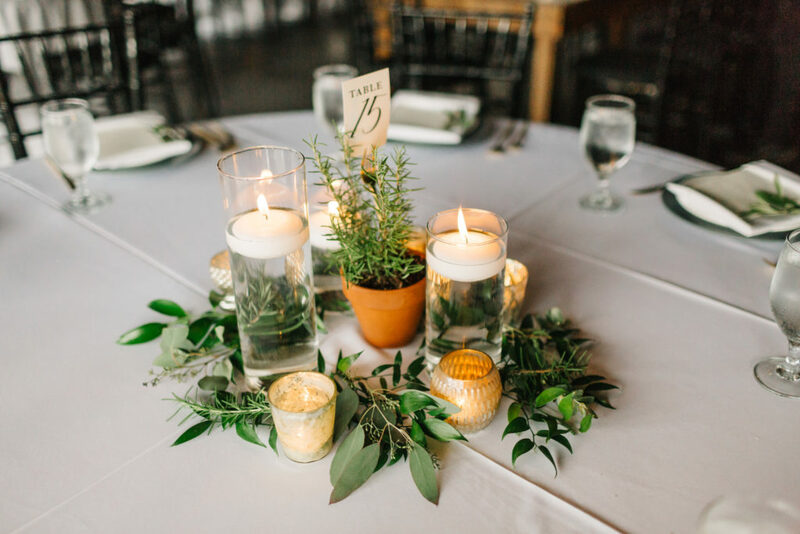 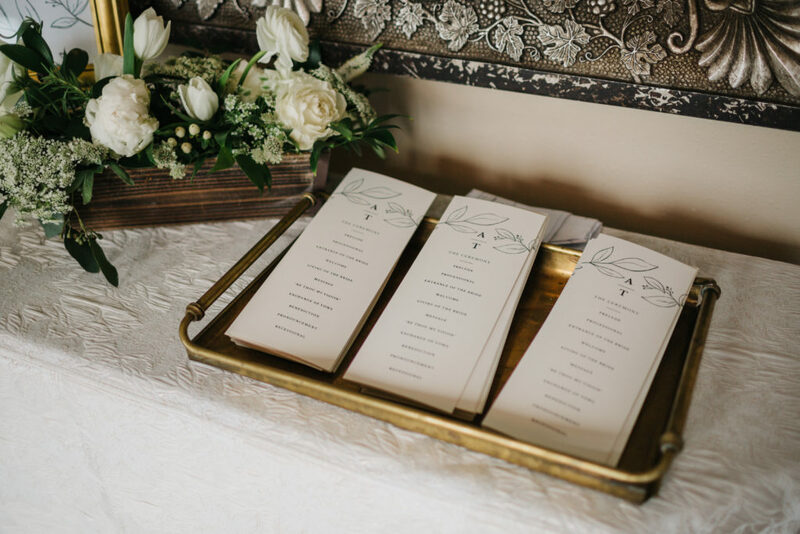 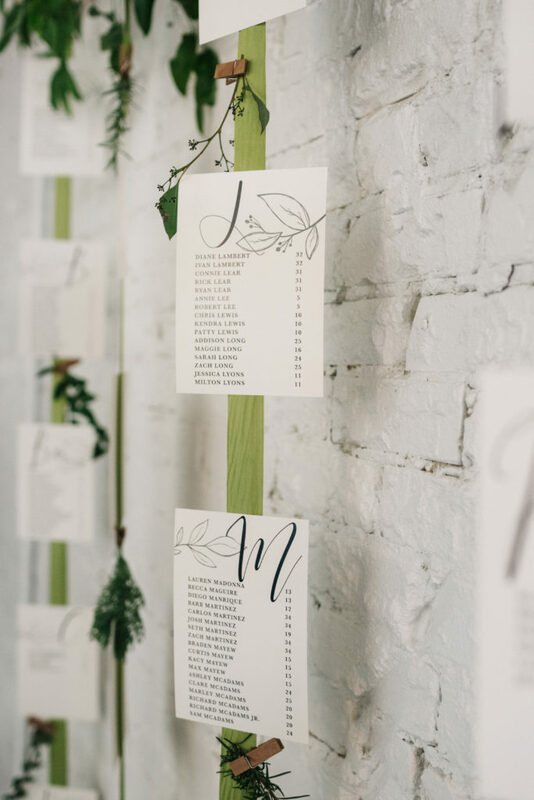 The bride wanted the whole feel of the day to be simple yet elegant, infused with bohemian details. 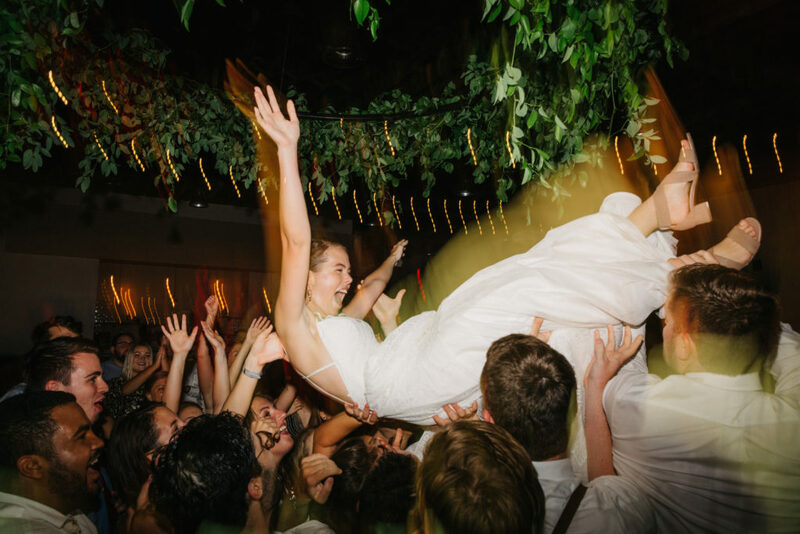 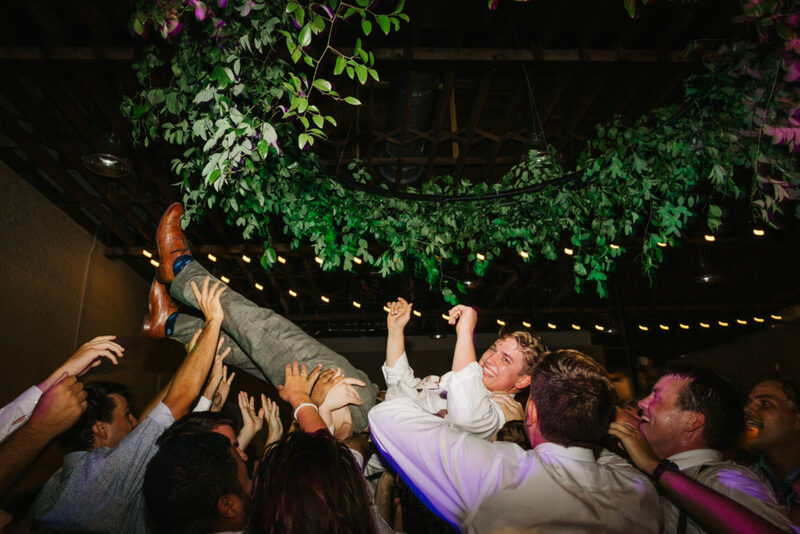 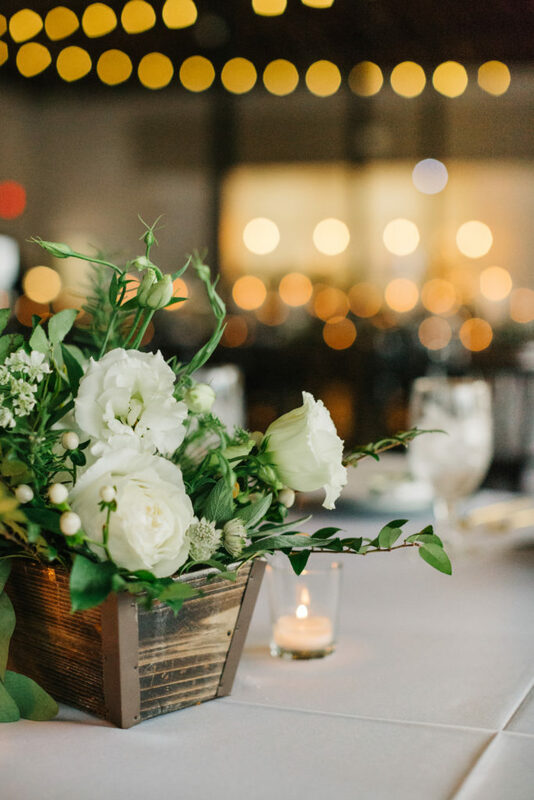 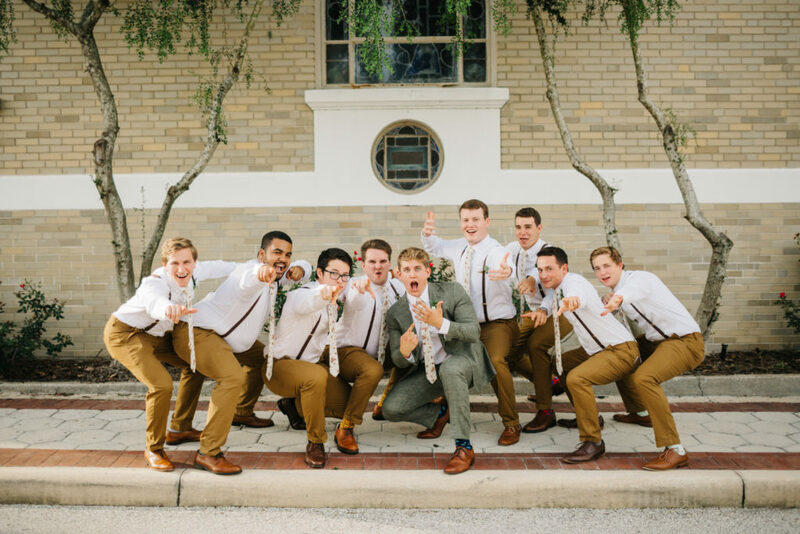 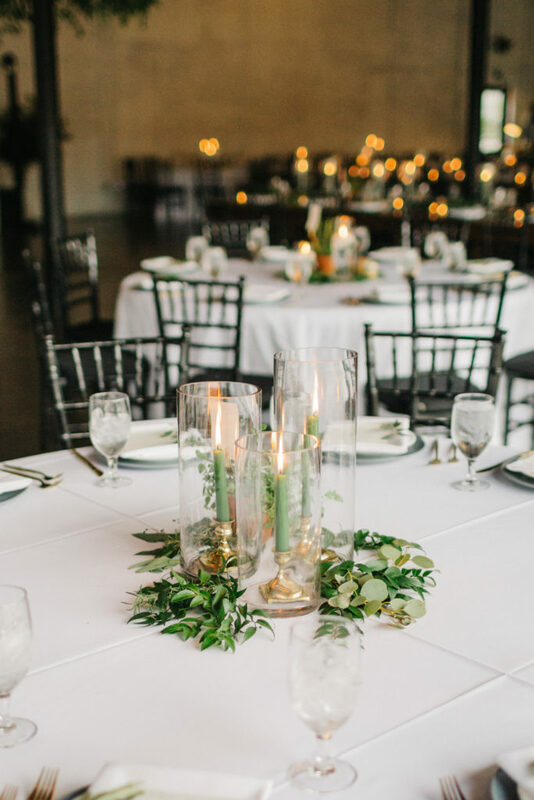 Our sweet friend Renee Nicole Photography was there to capture all the magic of the day and most importantly… all the KILLER dance moves that went down at the reception. 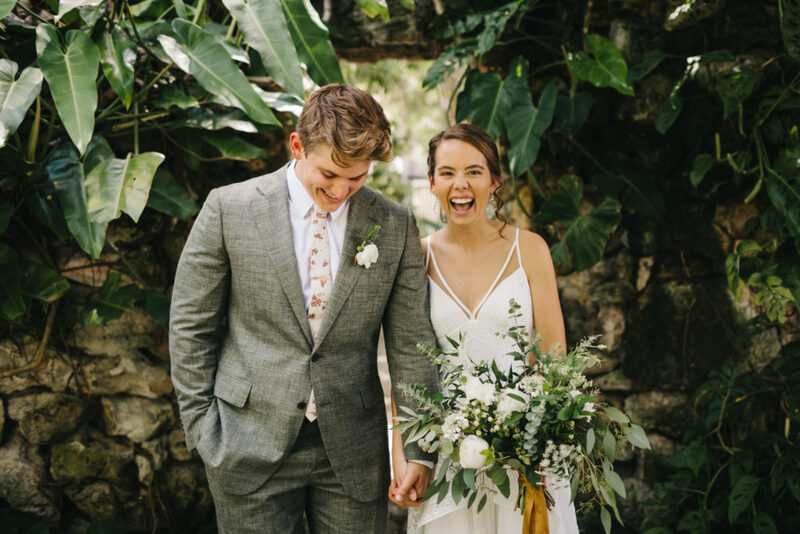 Scroll down to see just how cute these two are! 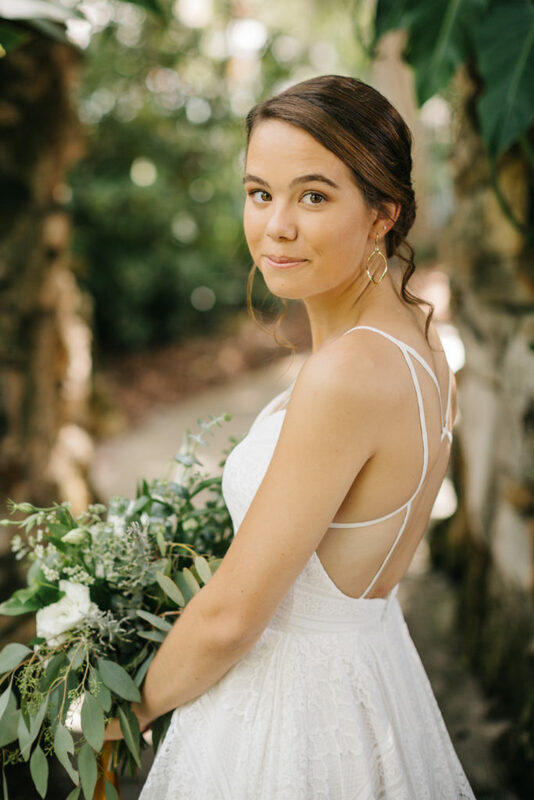 A’s dress from The White Magnolia Bridal Collection was the perfect representation of her simple yet elegant. 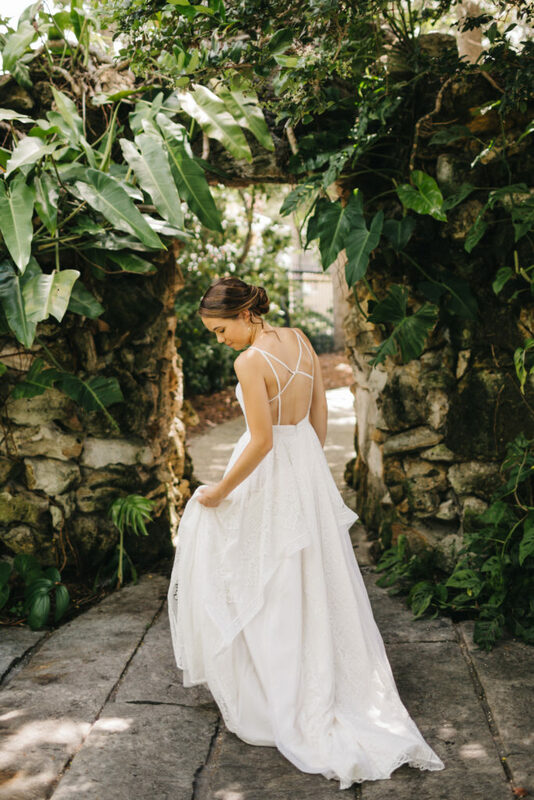 The delicate layered skirt and the subtle bohemian touches were the perfect amount of detail. 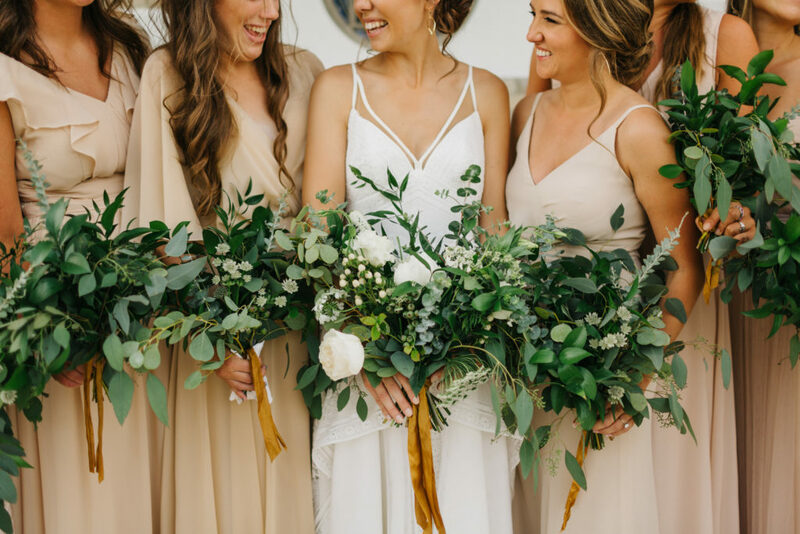 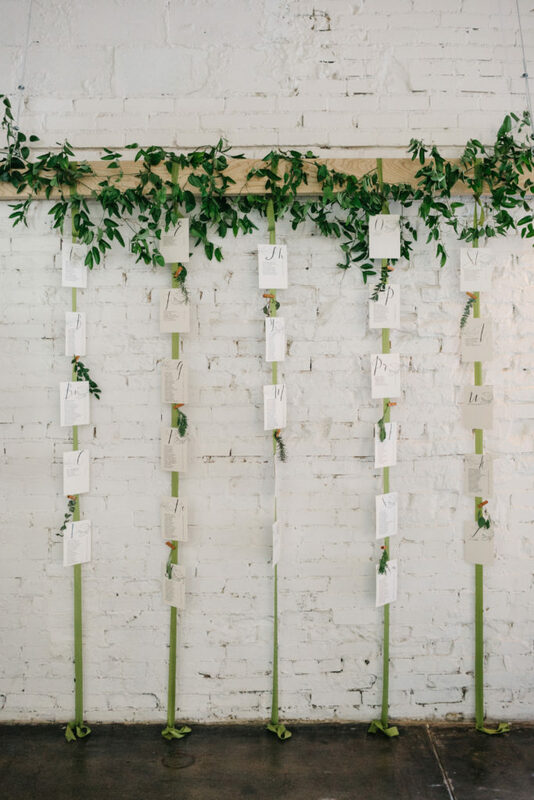 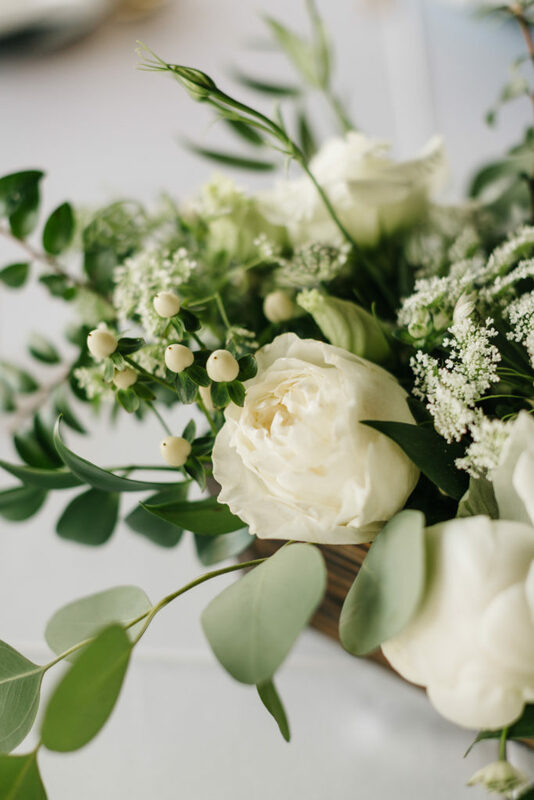 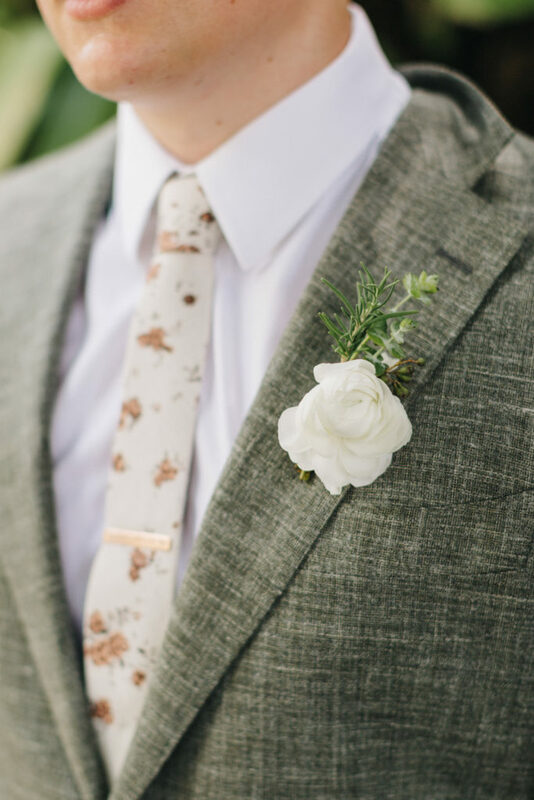 We love the way the flowers tied the whole look together with plenty of lush greenery and a touch of gold in the ribbon as the final touch. 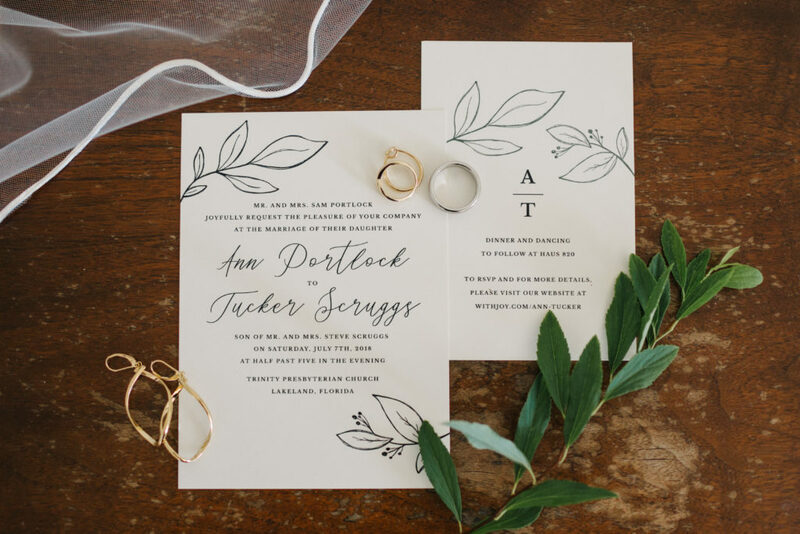 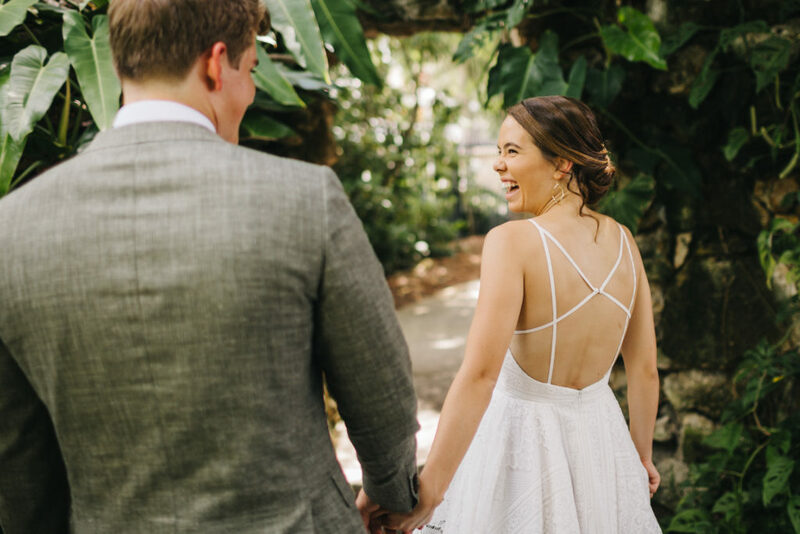 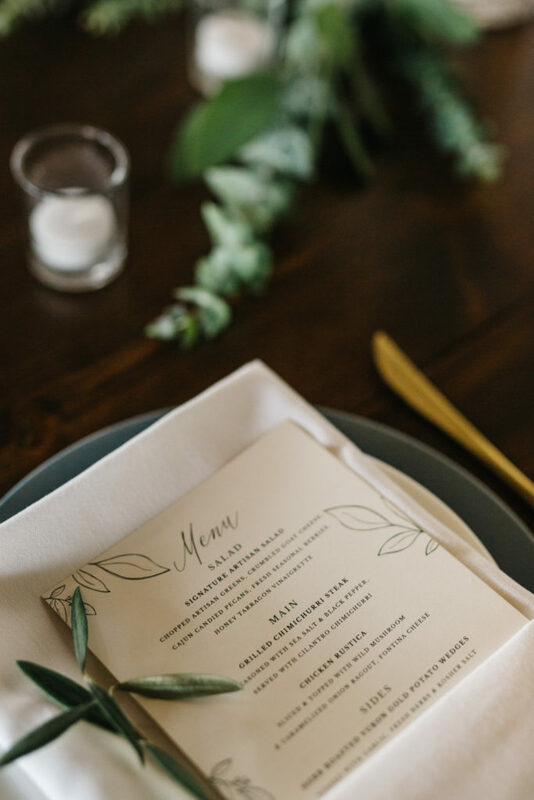 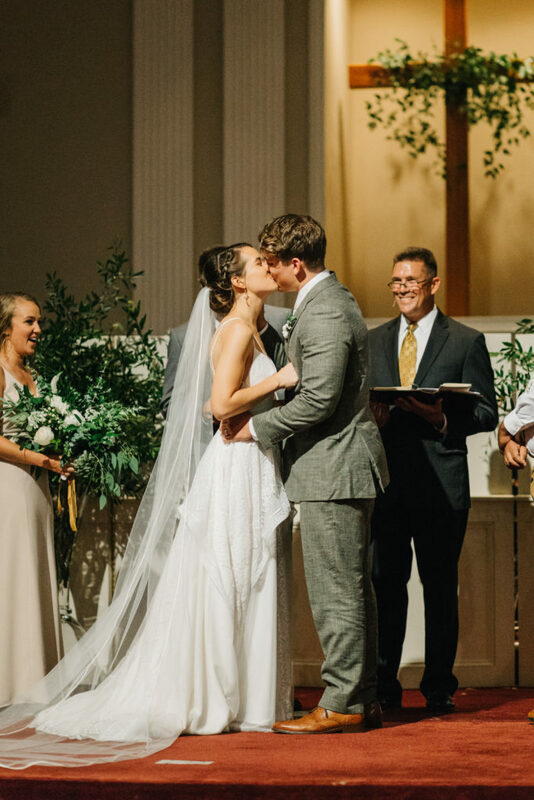 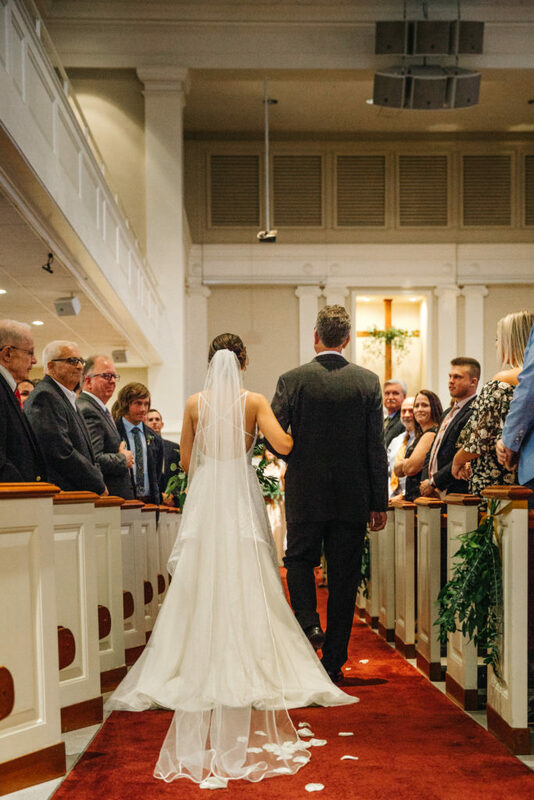 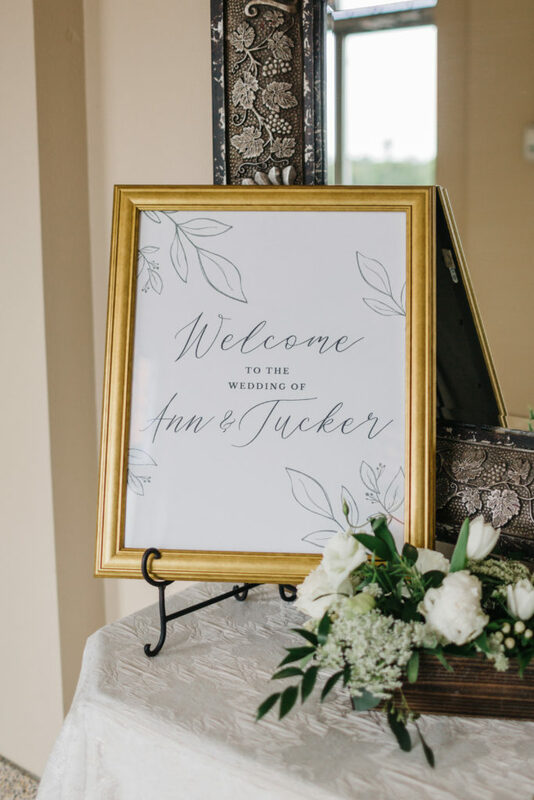 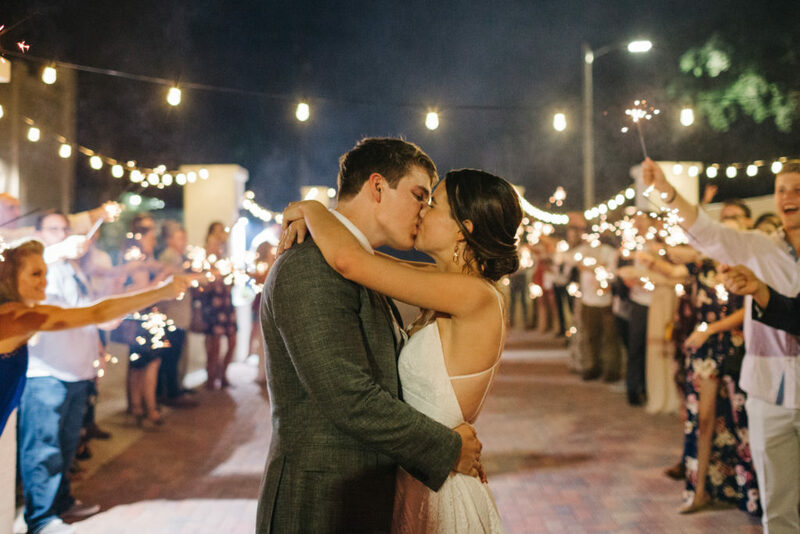 Their heartfelt ceremony was the sweetest celebration of A+T’s history together, from meeting in high school and falling in love to getting married in church the groom grew up in. 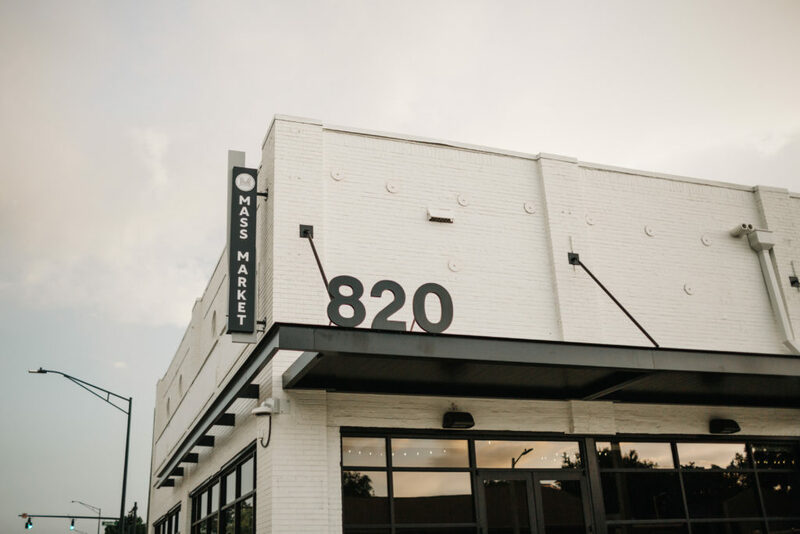 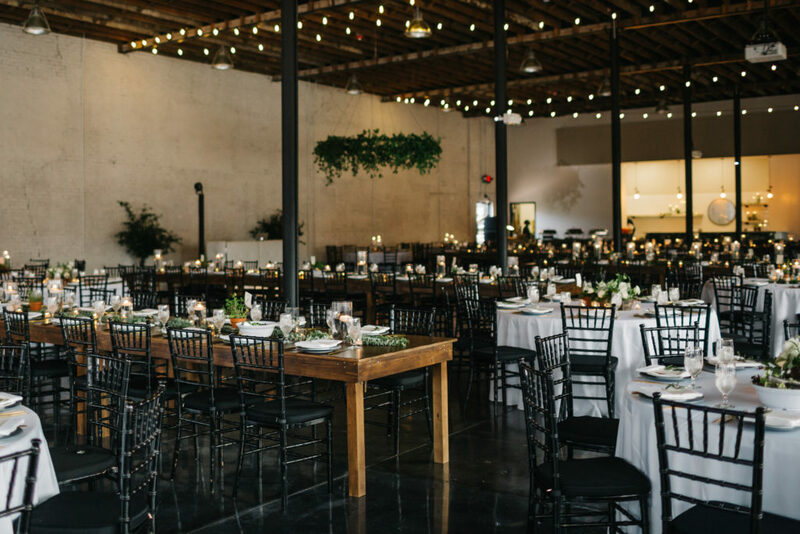 Their reception was at Haus 820, which was the perfect setting for a night full of dancing!